The Giveaways include Traditional Archery Supplies, Traditional Bow Hunting Equipment, or General Hunting Equipment. Even Custom Bows and Guided Hunts. So we would like to dedicate this page to the past winners here at Tradhunter.com. Without you members there would be no giveaways. Thank you and good luck to all members in future giveaways. 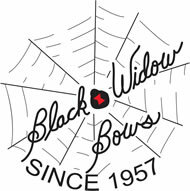 Member- AwpForester, Won a Selway Quiver of his choice from Selway Archery - Traditional Archery Equipment. Member- Chop, Won a Alaska Knife Co. skinner knife set with sheath. Member- Jmartin, Won the first hunt giveaway at Ray Hammonds - Hog Heaven in South Carolina. Member- Pappy, Won a Selway Archery Bow Quiver of his choice. Member- Irish, Won a Badlands Monster Fanny Pack. Member- Feet like a crow, won a Custom made Hawk by Clay Walker of Ragnarok Forge. Member - Cameroo, Won the Custom Bamboo Arrows that were donated by member Bowferd. Member - Limblover, Won a Selway Quiver of his choice from Selway Archery. Want a chance to add your name to the growing list of winning Members?